If you read my blog quite regularly you will know I am a huge fan of a Lush Lip Scrub. 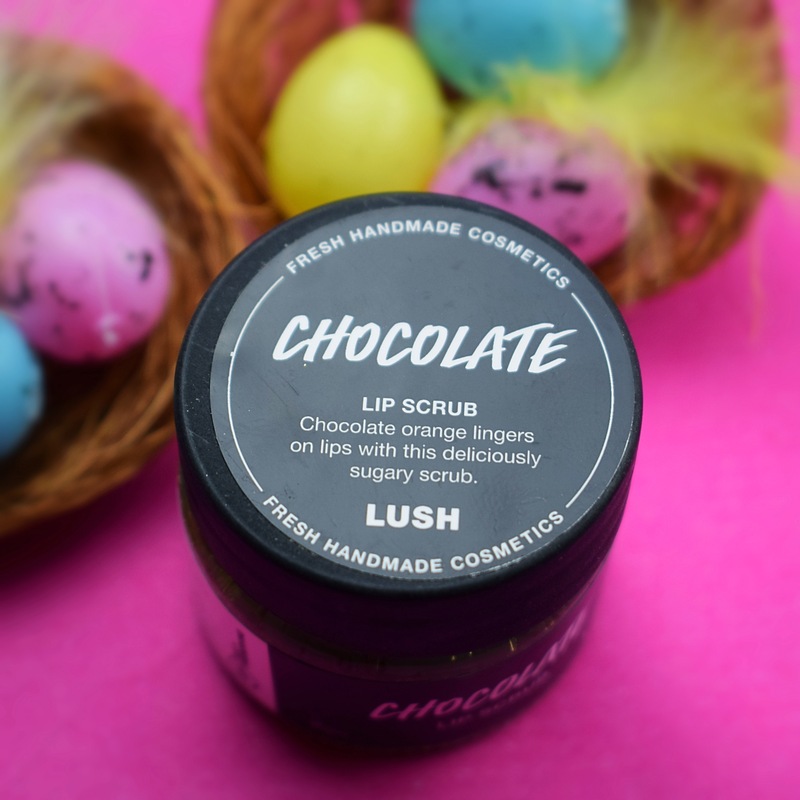 As part of this years (2017) Easter range Lush released the chocolate lip scrub. Although this hasn’t been released in stores before, it did make a short appearance on the kitchen. I find the lip scrubs to be such a handy product to have, due to their small size they are so easy to carry around in a bag, meaning you can have a little mini pamper wherever you happen to be. The scrubs are designed so that you can take a small scoop out and then rub across your lips to get rid of any dry skin. Sugar is the main exfoliating ingredient which means you don’t get a horrid taste when using this scrub and you don’t have to worry about ingesting any, as it’s 100% safe to consume. One of my favourite times to use a lip scrub at the moment is just before I pop my lipstick on. I find that exfoliating my lips first gives a lovely soft, smooth canvas for my lipstick and is especially helpful if using a dry matte lipstick which have the tendency to clog up a little and show every tiny bit of dry skin on your lips. 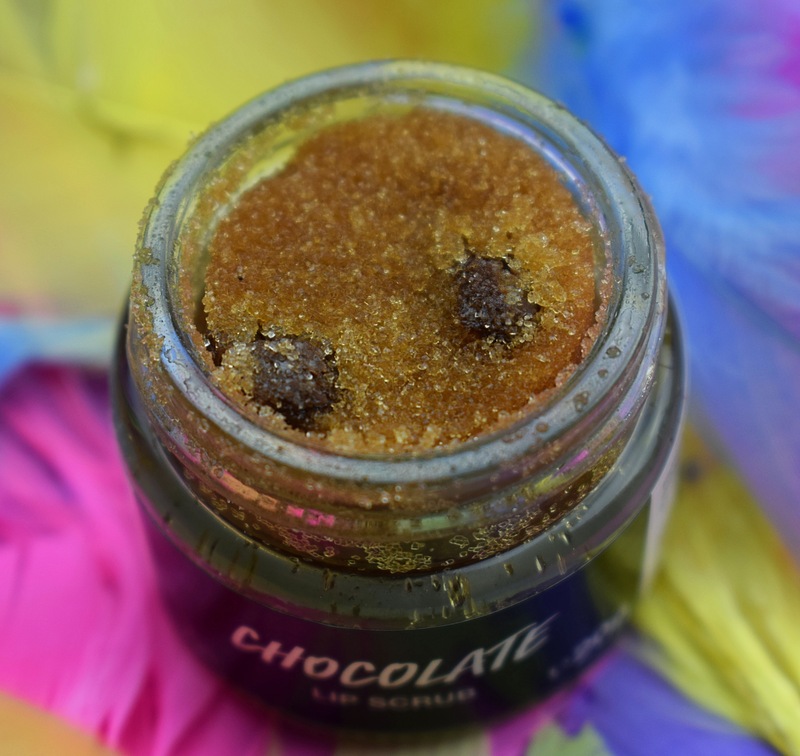 The chocolate lip scrub has a beautiful sweet, vanilla, chocolate scent. Containing dark chocolate, fair trade vanilla, tangerine oil and a good helping of cocoa. This scrub is pretty much a pot of chocolate goodness. I found that the inclusion of vanillia took away some of the sharpness of the dark chocolate and the tangerine oil added a sweetness to the product. As Lush scrubs go, the chocolate lip scrub is the tastiest one I have ever tried (not that I recommend you spoon it out and eat it). After use I found my lips felt extremely soft and smooth. There are a lot of oils in this product which adds a beautifull moisturising element to the scrub. I personally suffer with chapped lips pretty much all year round so a lip scrub is a key element in my skincare routine. 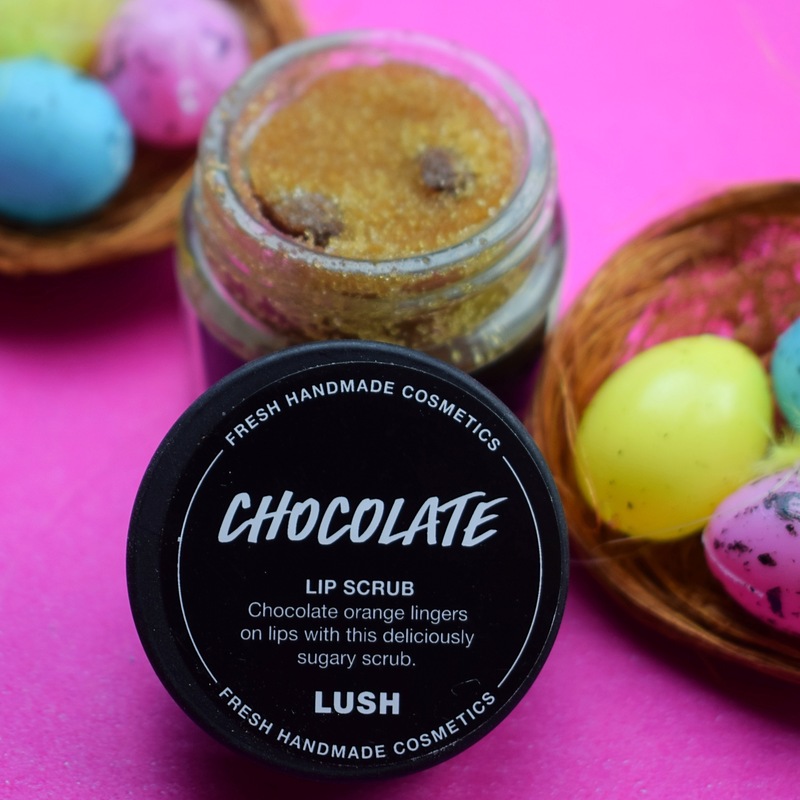 The chocolate lip scrub is now a firm favourite of mine and I will defiantly be stocking up on a few of these to last me the rest of the year. INGREDIENTS: Caster Sugar, Organic Jojoba Oil, Dark Chocolate Flavour, Tangerine Oil, Sweet Orange Oil, Fair Trade Vanilla Absolute, Cocoa Absolute, Cocoa Powder, Limonene, Linalool. Haha! It’s so hard not to, tastes amazing!